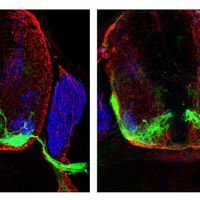 A gene helps motor neurons successfully venture out from the spinal cord to muscles during mouse development. 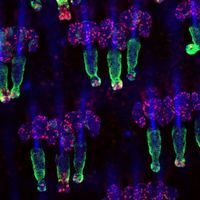 In cell division, a protein called spastin appears to help tear down a bridge between daughter cells. 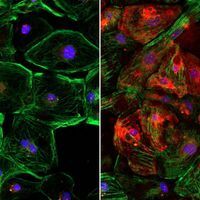 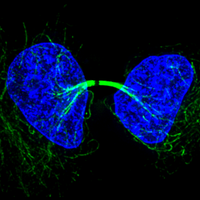 CRISPRed heart muscle cells from humans gain the ability to make a protein missing in Duchenne muscular dystrophy. 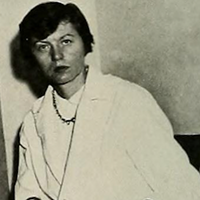 The former Columbia University professor’s early work helped illuminate the structure of penicillin, allowing chemists to make variants and broaden the scope of antibiotic treatments. 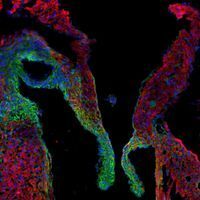 By zooming in on a developing mouse heart, scientists are studying whether defects in vasculature contribute to a thin muscle wall. 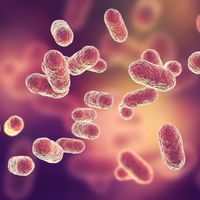 An enzyme of the bacteria Porphyromonas gingivalis has been found in the brains of patients with the disorder, and causes neurodegeneration in mice. 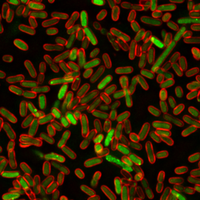 Researchers hacked the genetic machinery of E. coli to make them glow and identify proteins linked to cancer. 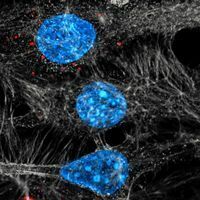 The vesicles promote metastasis after chemotherapy, but the authors say the results shouldn’t alarm patients and may point to ways to improve treatments.